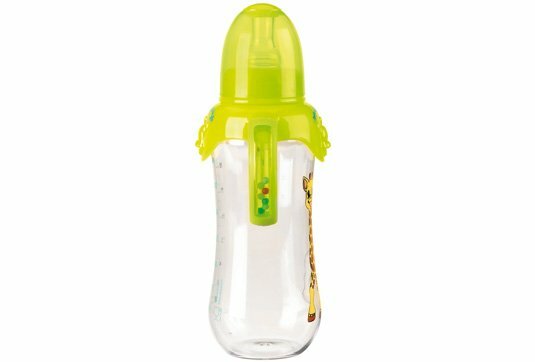 Has two handles with small balls inside to stimulate baby, who can watch and hear them rattling when he lifts his bottle to his mouth. Removable to give baby a calmer feeding time and for cleaning and sterilising. Leak-proof neck ring. Easy-to-grasp hourglass design and handles. 0-6 months silicone teat included. 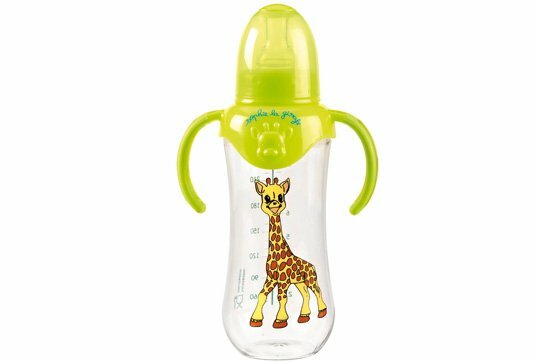 Can be used with all standard teats on the market with no risk of leaking. Double scale for easier measuring. 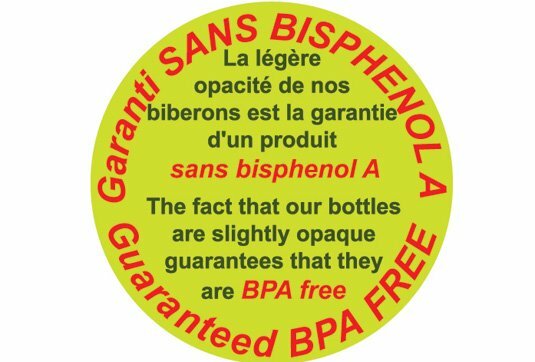 Unbreakable and suitable for all standard bottle warmers and sterilizers.